We’re giving you LOTS of advance-notice on this one (Christmas-party season is just around the corner), but we’re doing a combined launch for two new books from Toronto authors and we want you there! After many many years, Rob Walton’s cartoon/comedy/conspiracy series RAGMOP comes to its startling conclusion, in graphic novel form! Whether you’re a RAGMOP reader from a long time ago who’s been patiently waiting for the series end, or someone who wonders what a Hanna Barbara version of The Invisibles would be like (trust me: awesome), THE COMPLETE RAGMOP graphic novel is for you. “…sly, snide, perceptive, exciting, gut-bustingly funny, and utterly indescribable… RAGMOP is a work of frenetic brilliance.” – Slings & Arrows Comic Guide. The creators of both graphic novels will be doing short presentations from their books, followed by signings. This also ties in to the final Industry Night of the year, which will be held at more-or-less the same time so it should be a whole lot of fun. Hernandez, Dupuy & Berberian in Toronto this fall. The International Festival of Authors is an annual event at Toronto’s Harbourfront Centre that brings authors from around the world out to discuss (and promote) their works. 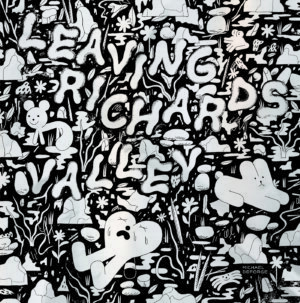 For the past few years the organization has been really good about bringing in graphic novelists with past years featuring appearances by Chris Ware, Charles Burns, Adrian Tomine, Chip Kidd, and many more. This year is no exception, as there are a number of graphic novelists (and authors with comics connections) in attendence. Oh, and following up on a successful run last year, The Beguiling will be at The IFOA selling graphic novels by the participating authors as well as important works of note. While Jamie Hernandez’s appearance makes for an obvious headline grabber, I’m really excited to meet Dupuy & Berberian as their new graphic novels Get a Life and Maybe Later are phenomenal, and I think a peek into their creative process will be both rare and excellent. The tickets to each of these events is $15, but there are free tickets available to high-school and post-secondary-enrolled ‘students’… Free is good. Phllipe Dupuy and Charles Berberian, creator of the “Monsieur Jean” series of stories and graphic novels (published in Canada by Drawn & Quarterly), will do a presentation of their new graphic novels Get a Life and Maybe Later. The presentation will be followed by an interview with Canadian graphic novelist Seth. Dupuy and Berberian have collaborated for twenty years, with their most successful comic series, “Monsieur Jean,” selling over 120,000 copies in France. 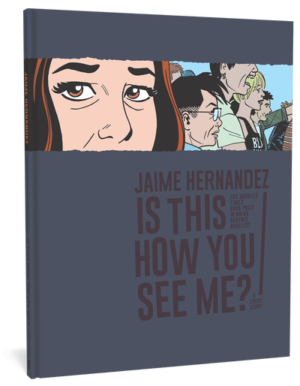 Jamie Hernandez’s life’s work is the comic book Love & Rockets, a collaborative ongoing series that has become nearly synonymous with alternative comics. His graphic novel Locas collected more than 10 years of his stories from L&R into an irresistable and acclaimed single graphic novel. Hernandez will be interviewed by film and television director Jerry Ciccoritti about his newest graphic novel, Ghost of Hoppers. Bernice Einstein’s I Was A Child of Holocaust Survivors, told in prose and pictures, is a brilliantly crafted, compelling memoir of her relationship with her parents, who met in Auschwitz. “With her words and pictures working together, Einstein captures the insular world her parents shared with their group of other Holocaust survivors (Globe and Mail).” The reading will feature Einstein as well as Ami McKay, Rosemary Sullivan, and Sarah Waters. Join Bernice Einstein in a round table discussion of her work with authors Yves Beauchemin, Alon Hilu, Marisha Pessl, and moderator Ken Alexander. Ralph Steadman’s The Joke’s Over, is a memoir of his remarkable friendship and collaboration with Hunter S. Thompson, a relationship which spanned more than thirty years. Steadman is the illustrator of many books, including Thompson’s legendary Fear and Loathing in Las Vegas and the fiftieth-anniversary edition of George Orwell’s Animal Farm. He is the author of The Grapes of Ralph, which won a Glenfiddich Food & Drink Award, Still Life with Bottle, The Book of Jones, and Gonzo: The Art. Steadman will be reading alongside Patrick McCabe, Tom McCarthy, and Clifford Chase. Legendary illustrator Ralph Steadman is interviewed by Ben McNally, manager of Toronto’s Nicolas Hoare Books. Who’s Jodi Picoult, you ask? Why, in addition to being the author of several bestsellers like The Tenth Circle and Plain Truth, she’s also going to take over the reigns of DC Comics’ Wonder Woman following Alan Heinberg’s departure this fall. Just think, you could be the first fanboy to get her autograph! Picoult will be reading alongside Caroline Adderson, Elizabeth Novle, and Meg Wolitzer. For more information including how to purchase tickets, please visit http://www.readings.org. We’ve announced the details for the Terry Gilliam contest on our mailing list! You’ve got until 5PM today to sign up (with a valid e-mail address) and to enter the contest. You can do so in that little box at the top of the window. All new subscribers will be sent a copy of the contest rules, so don’t worry that you’ve missed anything. Can you keep a secret? Cartoonist, director, and author Terry Gilliam will be doing a very small, very exclusive event with us at The Beguiling. You WILL need a ticket to attend this event. How do you get one? You MUST be on our mailing list to receive the instructions on how to get a ticket. Sign up at the top of this page. The Beguiling is proud to welcome Toronto native Cameron Stewart to the store, to sign the first issue of his new Vertigo series THE OTHER SIDE! An epic and surreal exploration of America’s most haunting war, Cameron Stewart provides some of the most visceral and impressive art of his career on this title. Best known for his work on Catwoman and Seven Soldiers of Victory: Guardian, this is a departure for Cameron and we’re really excited about the new series. THE OTHER SIDE #1 will be released on October 4th from DC/Vertigo, and the signing will occur that weekend, on Saturday October 7th from 2PM-4PM. Hi there, welcome to our blog. We’ve integrated Blogger’s automated update service into our frontpage in order to bring you event news, sales info, and maybe even reviews, in a more timely and frequent fashion. There’s even a feed at http://www.beguiling.com/atom.xml for you to integrate into your newsreaders and things. In case you’re just joining us, The Beguiling Books & Art was founded in 1987 in Toronto, Canada. Showcasing the largest selection of alternative, underground and avant-garde graphic story telling in the country (not to mention manga, BD, superheroes, ‘the new mainstream’, and much more…), The Beguiling has a worldwide reputation for excellence. Among the many accolades afforded the store, the most prestigious was the first-ever Eisner Spirit of Retailing Award for excellence in retailing. The Beguiling has also sponsored many book signings, conventions and poetry/prose readings with legendary and current comics creators such as Robert Crumb, Harlan Ellison, Neil Gaiman, and others. In 2003, The Beguiling hosted it’s first itteration of the Toronto Comic Arts Festival, bringing alternative and independent comics creators from around the world to Toronto to celebrate the best of comic art. The next will follow in August 2007, and more information can be found at http://www.torontocomics.com/tcaf.